SCVHistory.com LW3269 | William S. Hart | 4-Up Movie Star Arcade Card-Postcard, Exhibit Supply Co. 1928. 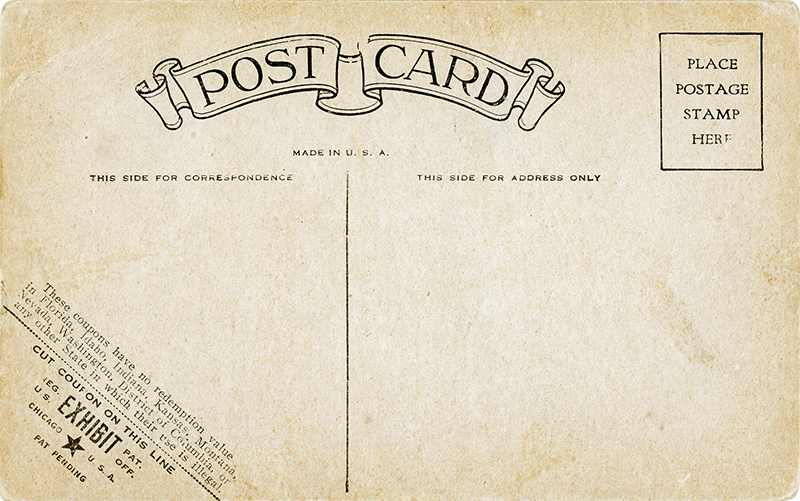 4-up William S. Hart arcade card, printed as a postcard with divided back. Unused. Published by Exhibit Supply Co. of Chicago in 1928 and sold for 1 cent in one of Exhibit Supply's own vending machines. 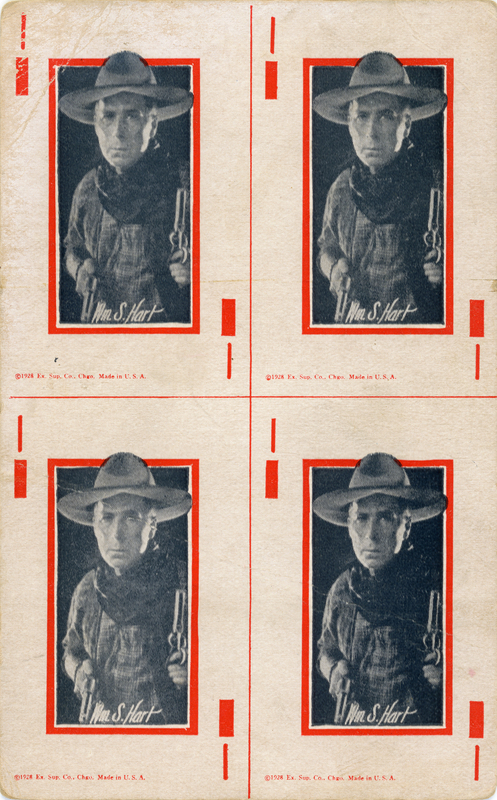 Exhibit Supply and others published many series of movie star cards, often with a playing-card design. Apparently this one was intended to be cut into four parts. We don't know why — perhaps as part of a game, or for trade with other (young) collectors. LW3269: 9600 dpi jpeg from original arcade card purchased by Leon Worden.